One of the best hook-them-while-they’re-young business software tricks came out of computer-aided design specialist Autodesk. The 34-year-old company’s early success was due in large part to its decision to convince influential architectural schools to include its AutoCAD product as part of their core curriculums—and giving the software to students, in order to seal the deal. I was reminded of that strategy last week when cloud software company Workday announced a new service meant for colleges and universities, a departure from its usual focus on corporate human resource departments. NOTE: We’re switching to a new email provider. To ensure delivery of Data Sheet, please add fortune@email.fortune.com to your address book. Heather Clancy is a contributing editor at Fortune. Email her. Share this essay. Nutanix CEO on why the hot data center hardware startup went public. It’s been a nine-month-long journey since Nutanix filed for an initial public offering, but the wait was worth it. The company’s shares closed at $37 on their first day of trading Friday, a whopping 131% jump from the original IPO pricing of $16 a share. Nutanix, which had a valuation of $2 billion as a privately held company, now has a market value of more than $4 billion. In an interview with Fortune, Nutanix CEO Dheeraj Pandey said he was pleased with the IPO even though it seemed like the company could have raised more money if it had initially priced its shares higher. Nutanix raised almost $240 million in the offering. “Hindsight is 20-20,” Pandey said. Oracle’s acquisition of NetSuite clears final hurdle. The $9.3 billion union was blessed last week with final antitrust approval from the U.S. Department of Justice. Shareholders have until Oct. 6 to tender their shares. 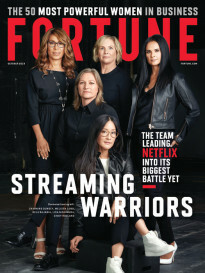 Share it: http://fortune.com/newsletter/datasheet/. Find past issues. 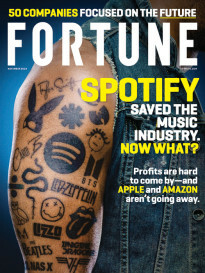 Sign up for other Fortune newsletters.